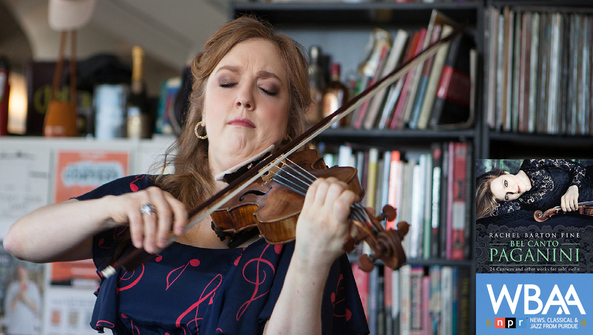 The latest from Rachel Barton Pine is some of the most challenging violin repertoire to perform. You wouldn't realize it with the ease that Pine tosses it off, or by the singing lines she brings to Niccolo Paganini's music. Bel Canto Paganini dazzles and soothes the listener. WBAA - Radio Purdue's John Clare spoke to Rachel about her 35th recording. The violinist discusses Bel Canto Paganini, including a special bow, unusual sounds, and performing rituals. Find out more about Bel Canto Paganini and be sure to listen for this new release and more on WBAA Classical 101.3FM Radio Purdue.